An attractive deal for all the shoppers. 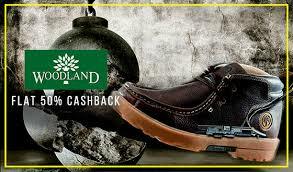 Buy these branded Woodland footwears at Paytm and avail an amazing cashback of 50% . You can choose your products from their wide range of collection and grab the deal in some simple steps. The cashback amount can further be used to avail other services at Paytm. Proceed to the payment page and make the payment. Fresh Startup with Snapdeal provided with latest features and Add-ons. If you are a Snapdeal User get your app updated to get modified version with additional shopping cashback on Freecharge Products where you can get offers on products with upto 100% cashback on Freecharge. So downlaod your Snapdeal App or if already exist go for updated version and avail 100% Freecharge cashback on offered products now only on Snapdeal!!! 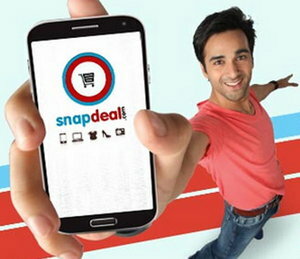 Download / Update your Snapdeal App. Once you get updated app, Products with Freecharge Cashback offers will flash. You can select your products and get instant cashback on your account. Download your Meru App and get Rs.150 off on your first ride. Merucabs is one of the reliable and easiest Taxi Booking Services that makes you feel comfortable to get your taxi on time.You simply need to download your Meru App. It will detect your location and will provide you various taxi options available nearby to your location in next 10-15 min or you can also make pre-bookings as per your schedule and convenience. Fetch this offer now to enjoy your first drive worth Rs.150 absolutely free. Click here to download Meru App. You will get Rs.150 off on your billing amount. This offer is valid till 31st Mar'2016. Offer valid only on Meru App for first ride only. User will have to use promo code to redeem this discount. In case if fare value is Rs.150, User does not have to pay anything. In case if fare value is less than Rs.150, User does not have to pay anything and no balance amount will be refunded. In case if fare value is more than Rs.150, User will have to pay the cost after deduction of Rs.150 on billing amount. No minimum billing value is applicable. Get your cab booked to enjoy your ride with this amazing discount offer on Merucabs!!! Celebrate the beginning of 2016 with your favourite Pizza outlet. 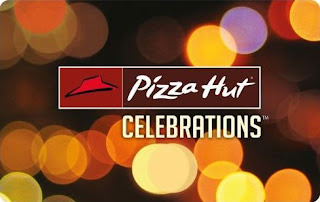 This month Amazon is offering Pizza Hut Gift voucher worth Rs.1000 at Rs. 750 only. You can now enjoy your pizza bite by availing this gift voucher in your nearest Pizza Hut outlets provided with variety of meals and combos in pizzas, mocktails, pasta, soups, desserts and salads. Just pizza does not limit this voucher. So grab a bite of delicious and yummiest feast with Pizzahut Gift Voucher available only at Amazon. Voucher can be redeemed at Exclusive Pizza Hut outlets. Returning or Refunding of voucher will not be entertained. Hurry Up!! !Get your Pizzahut Gift Voucher to enjoy your breakfree meal with Amazon..